Visit Bucks County is the official tourist promotion agency for Bucks County, Pennsylvania. 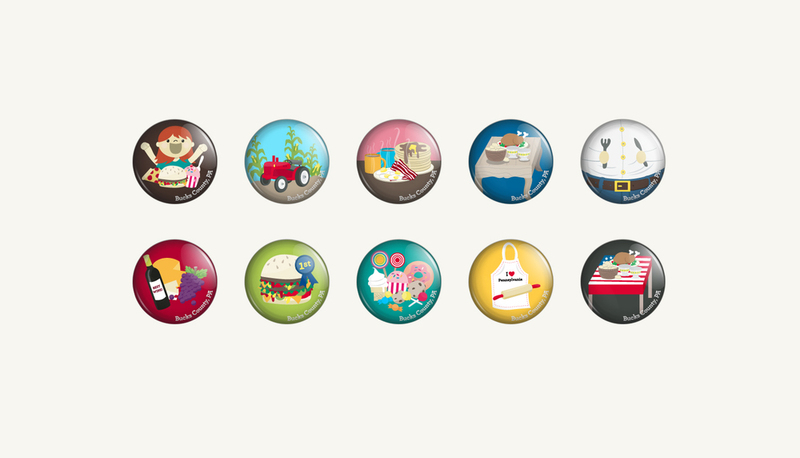 Through Foodspotting.com the client wanted a series of badges for their various food guides. Each button represents a food category (ie. : Burger badge for their guide to find the best burgers in Bucks County, kid eating food for their list of kid friendly restaurants). Given the main topics of each food guide, I hand sketched several concepts per topic, and with several iterations created the final designs.